Channel provider SPI International/FilmBox has struck an agreement with media services provider Media Broadcast Satellite and Spanish satellite operator Hispasat to broadcast the FunBox UHD channel to the EMEA region from Hispasat’s H30W-5 satellite. The five-year deal will see the channel, which provides content about nature, travel and adventure, art music, culture and lifestyle in 4K UHD, uplink from Media Broadcast Satellite’s teleport in Usingen, Germany to the Hispasat satellite at 30° West. Hispasat and Media Broadcast Satellite aim to make their platform one of the key platforms for the distribution of 4K channels in EMA. The channel can be received from the satellite by cable operators in Spain, Portugal, Germany, Belgium, the Netherlands and Luxembourg, among others. 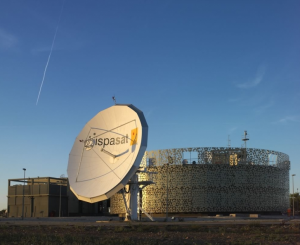 Hispasat was a pioneer in broadcasting UHD to Latin America and since September 2013 has provided the open-access broadcast of its own 4K channel in Europe.